You might have noticed an unusual looking Google Doodle on their homepage today. Unless you are familiar with the work of Constantin Brancusi, you're probably left wondering what the heck those organic looking shapes are. 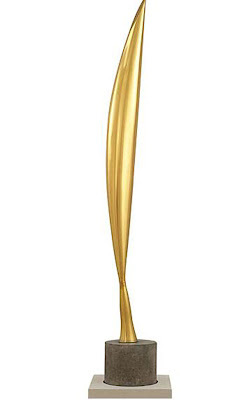 To honor of what would have been Romanian sculptor Constantin Brancusi's 135th birthday,the Google Doodle features some of his most well known sculptures. 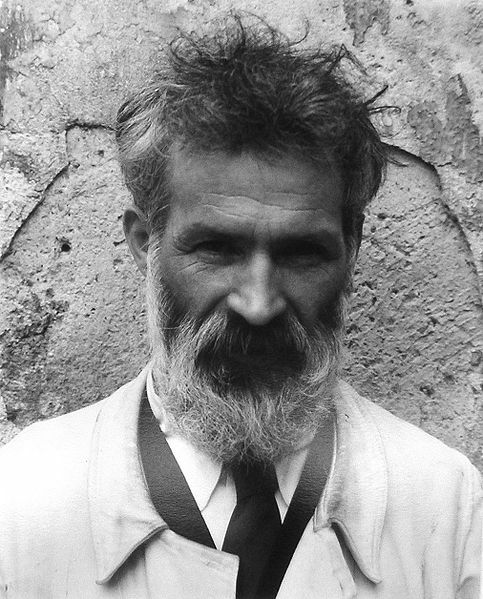 The Romanian sculptor Constantin Brancusi, (1876-1957) was a central figure of the modern movement and a pioneer of abstraction. 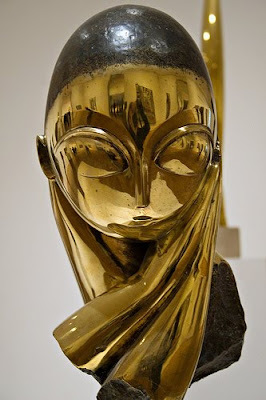 His sculpture is noted for its visual elegance and sensitive use of materials, combining the directness of peasant carving with the sophistication of the Parisian avant-garde. After attending the Bucharest School of Fine Arts and learning of the sculpture of August Rodin, Brancusi traveled to Paris in 1904, where he continued to reside until his death. 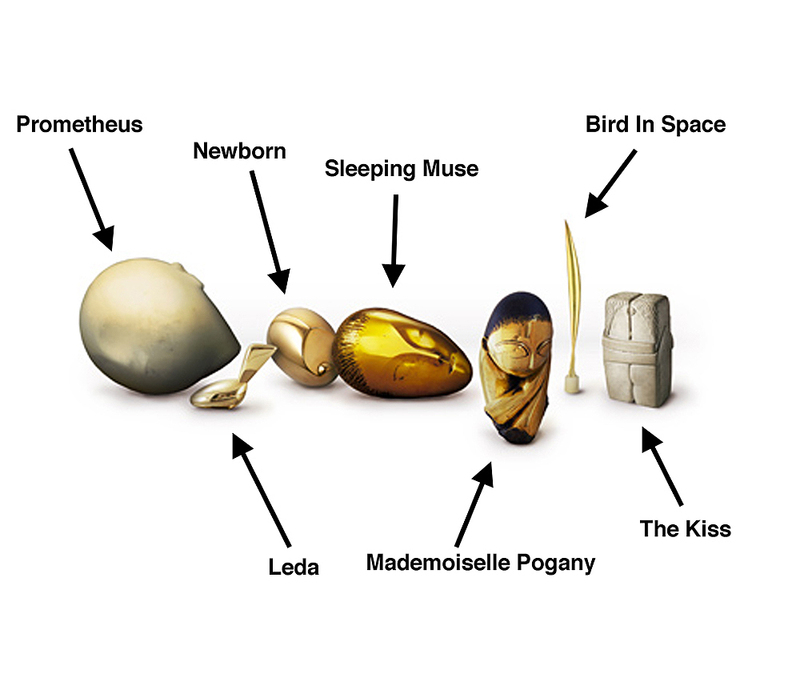 A look at each of the sculptures in the Brancusi Google Doodle. 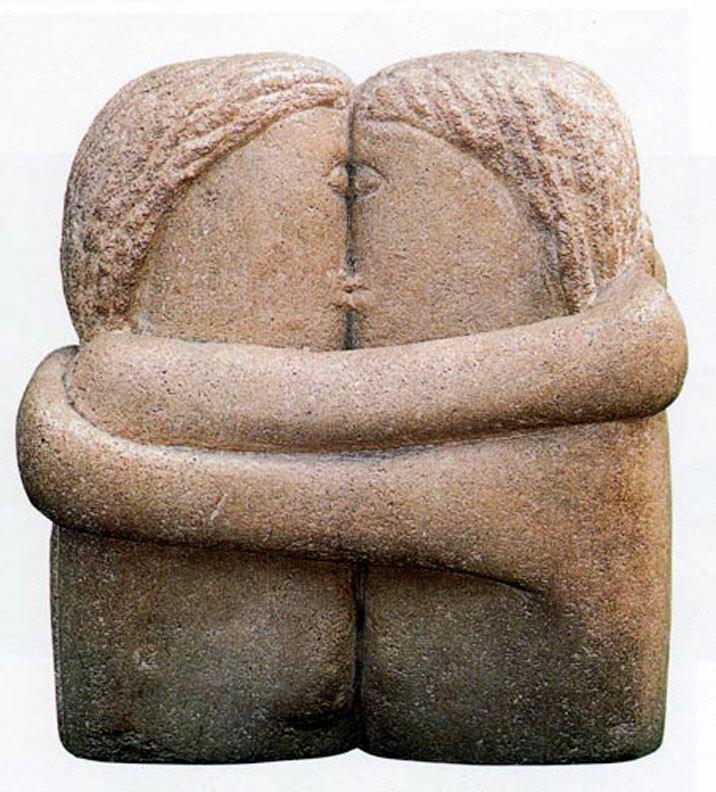 Brancusi created his first major work, The Kiss, in 1908. 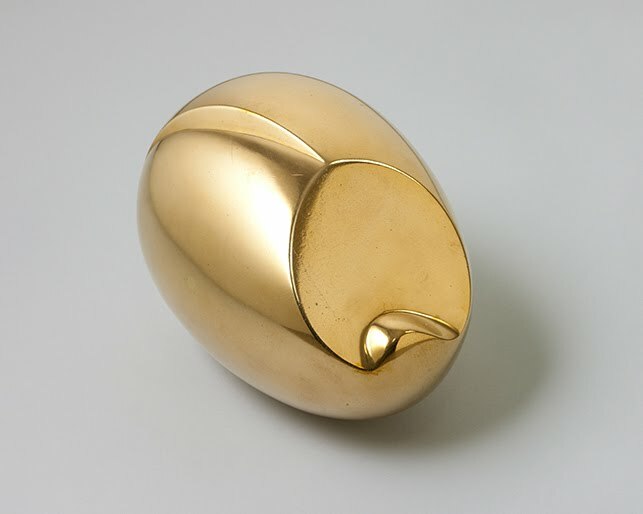 From this time his sculpture became increasingly abstract, moving from the disembodied head of Sleeping Muse to the virtually featureless Beginning of the World and from the formal figure of the legendary bird Maiastra to numerous versions of the ethereal Bird in Space. 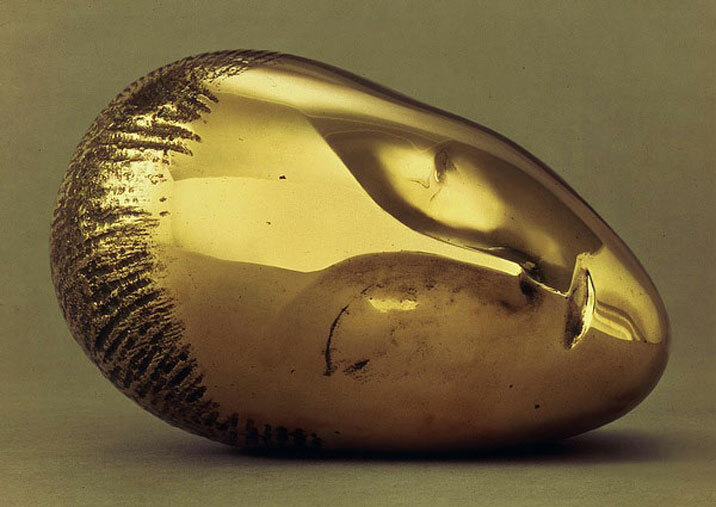 Brancusi's sculpture gained international notoriety at the 1913 Armory Show in New York, a city that he visited four times and where his work frequently would be exhibited. 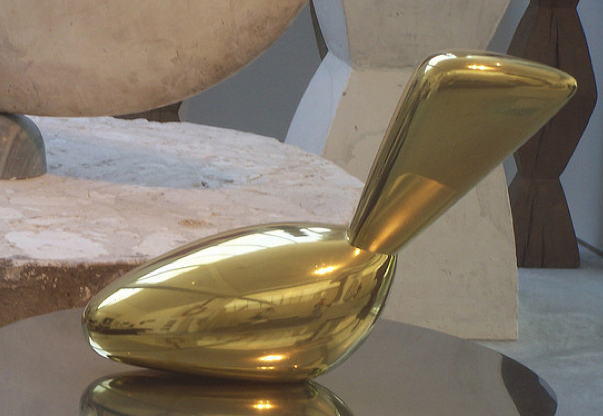 In his Paris studio at 8 Impasse Ronsin Brancusi devoted great attention to the arrangement of his sculptures, documenting individual works and their installation in an important body of photographs. 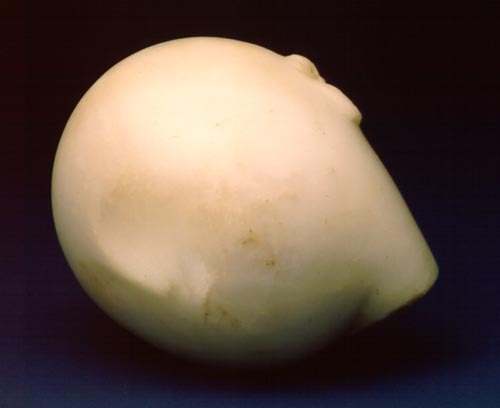 Isamu Noguchi worked as a studio assistant for Brancusi in 1927, and Brancusi taught him to carve stone and wood. In the 1930s Brancusi worked on two ambitious public sculpture projects, an unrealized temple in India for the Maharajah of Indore and the installation at Tirgu Jiu, Romania, of his Gate of the Kiss, Table of Silence and a 100-foot tall cast iron version of Endless Column. On his death Brancusi left the contents of his studio to the Museum of Art of the City of Paris, on condition that the studio be installed in the museum in its entirety. 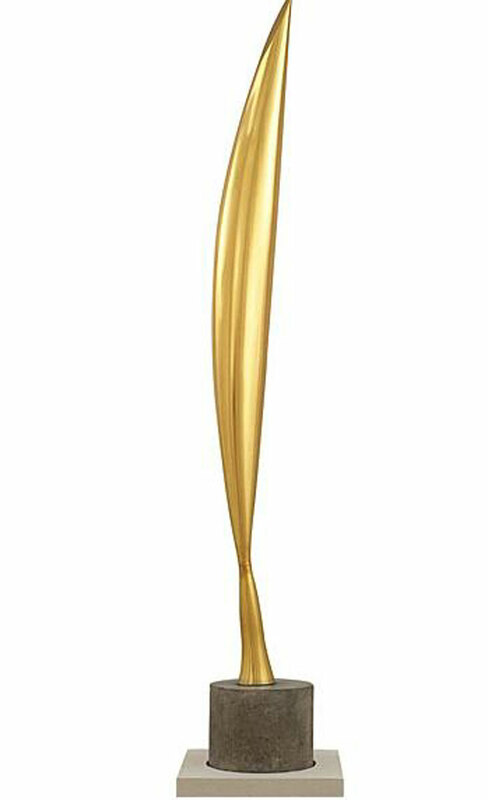 Imagine blog people will love this blog thanks for such type of blog. From where they got this pictures really all are attractive thanks for sharing like that post.